At Sutliff & Stout our personal injury attorneys are guided by a singular belief: That access to competent legal representation is a fundamental right. If you or a loved has been seriously injured, we want to help. Contact us today for a free, no obligation case review. When you contact our law firm after suffering an injury, our immediate goal is to be of service to you. That’s why we’re glad to come to your home or the hospital to speak with you about your case and begin working on your personal injury claim. For your convenience we have fully staffed offices in Austin, San Angelo, and Marble Falls, in addition to our headquarters in Houston. If we believe we can help you, we’ll sign you up as a client and turn our attention to the task of being effective personal injury lawyers. That means taking the proper measures to ensure a fair and just outcome for you. Whether it comes in the form of a settlement or a jury verdict, a fair and just outcome will secure both the medical treatment that you require to heal, and compensation for other harms you might suffer, such as lost wages and pain and suffering. We invite you to call, text, or email our law office to discuss your situation. 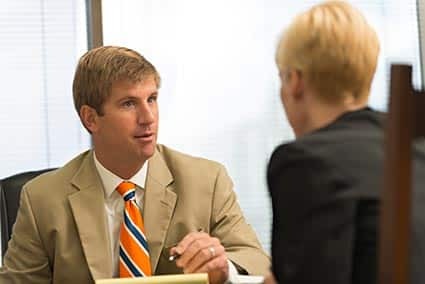 We provide completely free, no-obligation case reviews, so that you can understand whether hiring a personal injury attorney is in your best interest. If you or a family member has been injured, the team of dedicated attorneys at Sutliff & Stout are here to help. When you make the decision to work with Sutliff & Stout, we take every part of your case personally and are ready to take you case to trial in order to attempt to secure fair compensation. Our highly skilled lawyers are highly responsive to your concerns, and will help guide you through every step of the process. this is one of the top personal injury law firms in Houston!